As of last month, over 50% of the 1.06 lakh “services-ready” gram panchayats had non-functioning networks or faulty equipment. New Delhi: India’s inability to maintain the infrastructure underpinning its vast rural broadband network has attracted criticism from the Prime Minister’s Office (PMO) over the last few months, according to internal government correspondence reviewed by The Wire. This criticism – and further intervention in the form of close monitoring by Nripendra Misra, principal secretary in the PMO – however has done little to rescue the Narendra Modi government’s ambitious Bharatnet project, which forms the backbone of the Digital India programme. In a recent memo to the heads of Bharat Sanchar Nigam Ltd (BSNL) and Bharat Broadband Network Ltd (BBNL), telecom secretary Aruna Sundararajan has noted: “It is regrettable that despite…critical observations made by PMO in several meetings, no improvements whatsoever is noticed in the situation on ground”. The PMO’s ire, however, has not pulled the bureaucratic system together. It has instead sparked infighting over who should be responsible for maintaining the network that will eventually provide high-speed broadband connectivity to each of India’s 2.5 lakh gram panchayats. As reported earlier by The Wire, less than 2.5% village panchayats have commercial broadband connections even though the government has spent more than Rs 12,000 crore in Bharatnet project. Most of the projects for providing mobile connectivity in uncovered villages have also failed to take-off in last four and a half years. Providing broadband to all villages or gram panchayats is an integral part of the ‘Digital India’ programme. It is the first of the ‘nine pillars’ of the project. Earlier this year, the Centre announced that it had provided “optical fibre connectivity” to over 1.1 lakh village panchayats (VPs). A series of letters between Sundararajan, BSNL boss Anupam Shrivastava and BBNL chief Sanjay Singh raises questions over what this ‘1.1 lakh village panchayats’ statistic really means. A memo sent by Sundararajan last month, for instance, notes that out of 1 lakh gram panchayats that are defined as “services [sic] open”, a whopping 50% of them had non-functioning networks or faulty equipment that would prevent them from providing connectivity. “It is regrettable that both CMD BSNL/CMD BBNL have not complied with my directions till date as many as 59,858 ONTs are seen to be down on 11.12.2018,” the letter notes (emphasis added). ONTs stand for ‘optical network terminals’ and can be “down” or non-operational for a number of reasons. Put simply, it means that in all village panchayats in which the ONT is not working, broadband services could not be provided or would have been interrupted. If the government claims that optical fibre has reached 1.15 lakh village panchayats, this means that as of last month, services can’t be provided in more than 50% of those village panchayats. The department of telecommunication (DoT) first raised red flags over poor maintenance of the BharatNet project at the ground level in a letter in which Sundararajan pointed out that 80%-90% of the GPs were “non-functioning” and that actual utilisation on the ground is “understood to be less than 10% target”. The way BharatNet was supposed to work was simple: the Centre would build an open-access optical fibre network and then telecom companies would buy bandwidth from BSNL to offer broadband services. This, senior government officials point out, hasn’t happened for two reasons. Firstly, USOF officials deliberately place restrictive conditions in tenders so that bidders do not come forward; and two, private players do not trust quality of the network due to its maintenance issues. The fact that nearly 60,000 ONTs were down last month underscores this point. Two state-run bodies are responsible for the operation and maintenance of the BharatNet project: BSNL and BBNL. After the DoT and PMO’s ire, both are pointing fingers at each other. An internal BSNL letter, dated November 2018, forwarded to the DoT insists that it is responsible only for “preventive as well as corrective maintenance of only optical fibre portion connecting the Gram Panchayats.” It further notes that all remaining network elements such as power supply, software, hardware etc. are sole responsibility of BBNL and may contribute to faults. “BSNL has been repeatedly insisting at various forums to frame a mechanism by which only the faults pertaining to the optical fibre portion should be reflected to BSNL area of responsibility. But BBNL fails to develop any mechanism for reporting of faults,” the letter notes (emphasis added). In the letter, the state-run telecom giant also takes a swipe at BBNL, noting that its officials rarely turn up for weekly meetings that monitor the BharatNet project. What is is implicit but understated in BSNL’s position is that the USOF needs to find ways to further classify why network failure is happening in the thousands of village panchayats that have been provided with optical fibre. What is interesting is that Misra, the principal secretary to the prime minister, closely understands the nitty-gritty of the telecom industry. He was the DoT secretary during the earlier NDA-I regime and was also Chairman of the Telecom Regulatory Authority of India (TRAI) during the UPA years. Telecom secretary Aruna Sundararajan was also proved adept in her earlier position as as administrator of the Universal Service Obligation Fund (USOF) back in 2014. Multiple officials point out that the projects initiated by her four years back are successful. That is why she was brought back as in the telecom ministry as secretary in 2017. Sources say that both Misra and Sundararajan regularly monitor performance of all projects under USOF. However, it appears that that they are not able to find a solutions as some bureaucrats in the ministry continue to openly defy them. One senior USOF official, in particular, allegedly flaunts his connections with the right-wing Rashtriya Swayamsevak Sangh. In November 2018, The Hindu Businessline reported that delays in the implementation of the BharatNet project had led to Sundararajan taking “tough action” and transferring eight senior officials to other departments or branches across states with immediate effect. 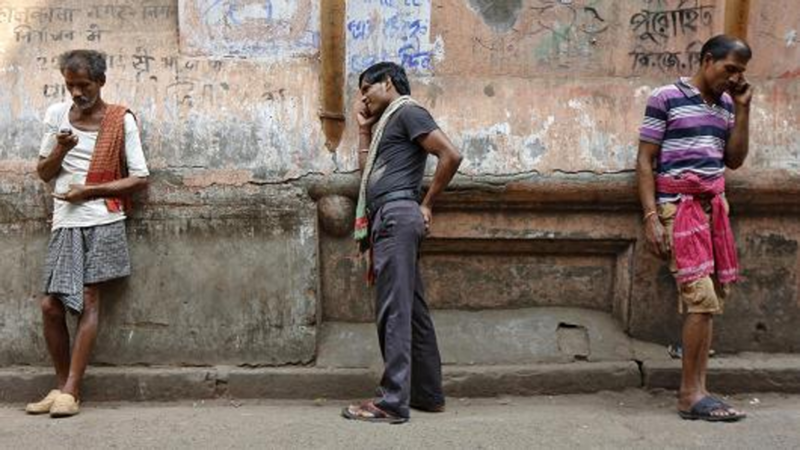 Sources said that the PMO has also expressed concern over the dismal performance in providing mobile connectivity in villages. There are more than 30,000 villages that are still uncovered and all the projects for providing connectivity are not able to deliver. For example, North East 1, North East 2, LWE 2, A&N, and aspirational villages are not able to deliver mobile connectivity. Most of them are non starter. An interesting case is that of setting up mobile towers in Andaman and Nicobar. The deadline for submitting bids has been extended 11 times as no operator has come forward to submit bids. “This shows sorry state of affairs in the government. 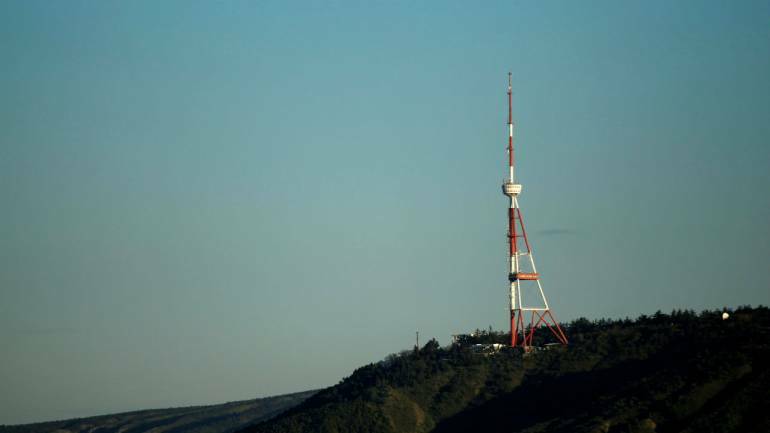 There is sufficient funds in the USOF but it is not utilised due to ill conceived projects,” said a former member (technology) of telecom commission.